One coalition crisis ends as Cabinet reinstates MK Eli Ben-Dahan after PM initially blocks his reinstatement. The Cabinet approved the re-appointment of MK Eli Ben-Dahan as the Deputy Defense Minister Monday. The move brings to an end a crisis within the coalition. 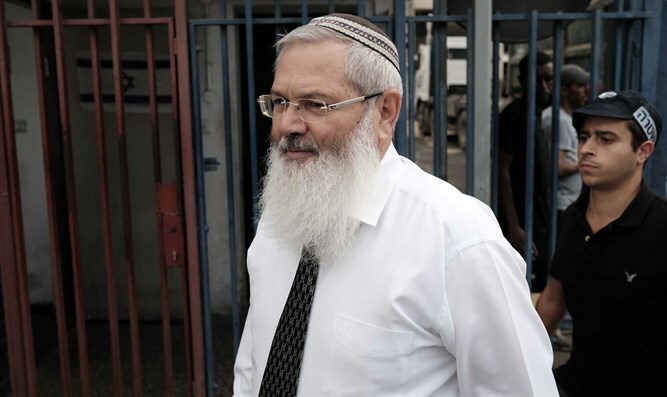 Prime Minister Binyamin Netanyahu had initially prevented the reinstatement of MK Ben-Dahan, whose term automatically expired when former Defense Minister Avigdor Liberman submitted his resignation. The Jewish Home party threatened to vote against the coalition in all votes until Ben-Dahan was reinstated as Deputy Defense Minister. On Sunday evening, Prime Minister Netanyahu backed down and announced that Ben-Dahan would be reinstated. Ben-Dahan will serve directly under Netanyahu, who announced that he would assume the post of Defense Minister.